The Raymond M. Alf Museum of Paleontology is the only nationally accredited natural history museum on the campus of a secondary school: The Webb Schools. High school students from The Webb Schools are immersed in the world of paleontology and museum science through classes, field trips, and volunteering opportunities. 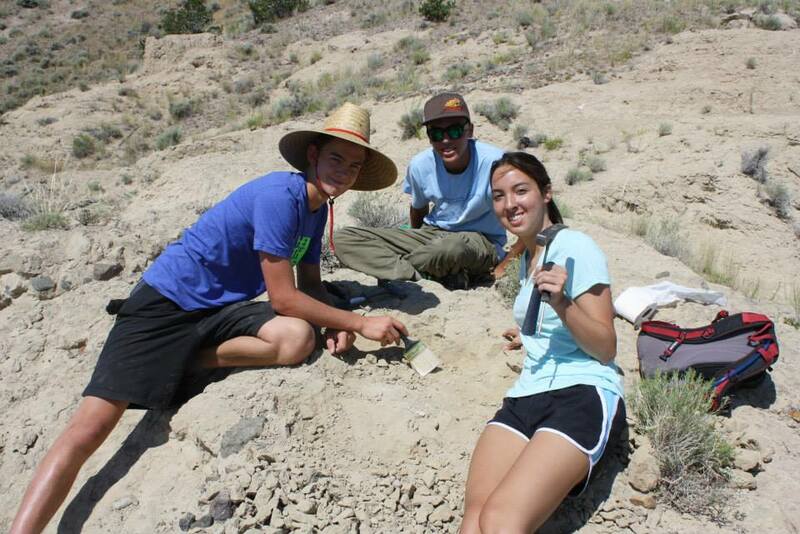 Every ninth grader gets hands-on experience with paleontology as part of the evolutionary biology course, which culminates in a field trip to collect fossils in the Mojave Desert. Those who want to learn more can continue on with honors paleontology and honors museum research courses, where they delve further into the scientific principles behind paleontology as well as ethical, legal, and cultural intersections with the field. Outside of the classroom, students are at the core of museum activities. Many of the fossils in the collections were discovered or collected on Summer Peccary Trips (named in honor of the discovery that launched the Alf Museum) by students. Students have found species new to science (such as the giant extinct horse Megahippus mckennai) and others that vastly expanded scientific knowledge (including “Dinosaur Joe”, the smallest and most complete Parasaurolophus yet known). Once the fossils are back at the museum, Webb students volunteer to do the basic cleaning and conservation of specimens that makes them available for scientific study. Exhibits in the museum’s Hall of Life highlight student work, and students also volunteer for public education and outreach events. From start to finish, what better way is there to learn about authentic science as a high school student? More information about The Webb Schools and its paleontology program is at their website.